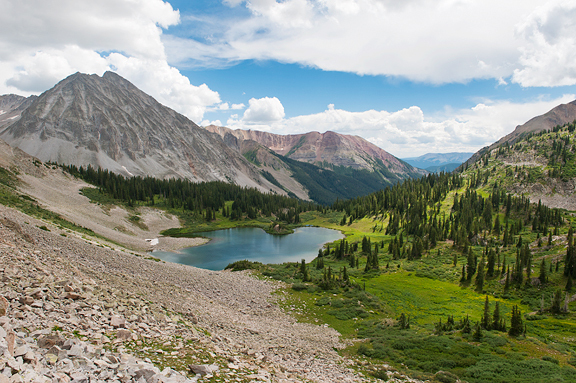 It’s not like anyone needs a reason to come to Crested Butte, Colorado, but this past week was marked on our calendar months ago. It all began when Jeremy ran into our friend in line at a coffee shop last fall. Brad has a remarkable talent for conveying massive amounts of information in a ridiculously short amount of time with boundless enthusiasm. In the three minutes he chatted with Jeremy, Brad convinced him to take up ultra running (and he also discussed about a dozen other topics). The Summer GT (Grand Traverse) was held on Saturday starting in Crested Butte and ending in Aspen – the same 40-mile overland route that the Winter GT Ski Mountaineering race follows, but this time on foot or mountain bike. I asked Brad if he was planning to run the Summer GT, but that crazy man ran the Fat Dog 120 this weekend in British Columbia (120 miles, 29,000 feet of climb). We’ve both been training since the local trails began melting out in April (although we continued backcountry skiing into late May – yeehaw!). Jeremy was training for the Grand Traverse, and I was just training for the heck of it. A few weeks before the GT, Jeremy developed runner’s knee. He discovered the hard way that running 20 miles on runner’s knee makes for much worse runner’s knee. He rested, iced, got a PT band, and tried to recover. Ultimately, he (correctly) determined that it would be unwise to run the GT this year. 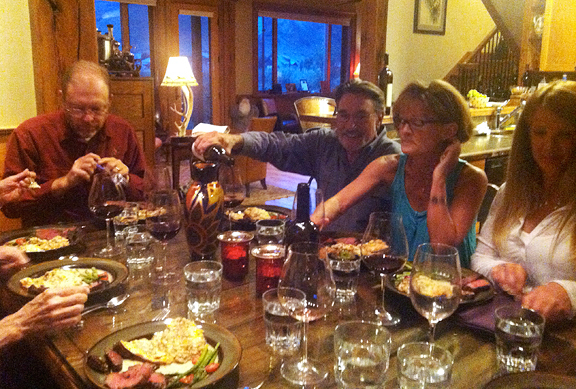 Instead, we took a week off from training and have been enjoying our time in wonderful Crested Butte. We’re not just wining and dining though. Summer is that magnificent ephemeral time in the mountains that should not be passed over if you can help it. 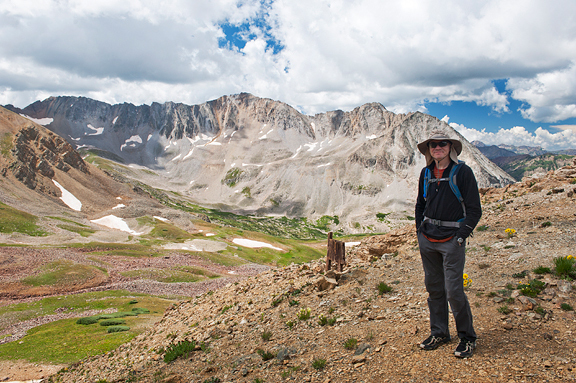 The other day we went for a 17-mile hike to explore parts of the high country that were new to us. I call it the triple pass lollipop unicorn hike because it gains three mountain passes and the route in map view looks like a lollipop with a unicorn horn. 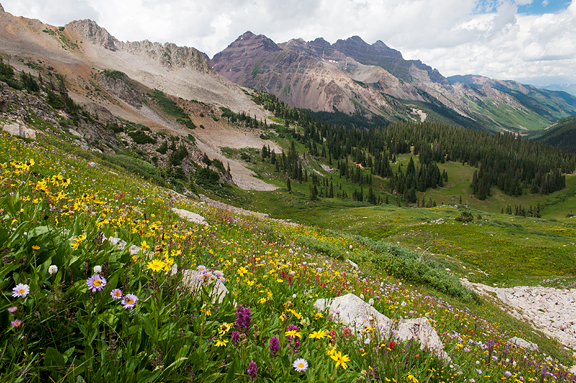 Plus, the hike is worthy of a title like triple pass lollipop unicorn hike, because it’s full of All The Good Things. 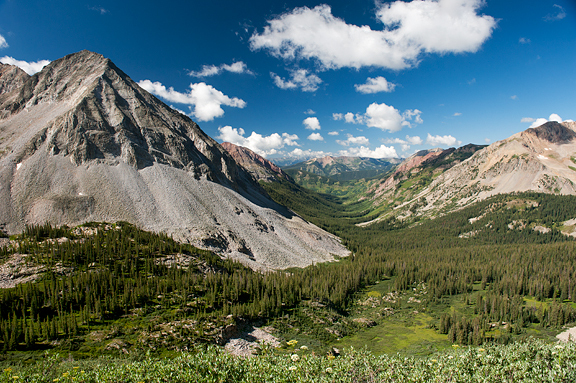 The views and terrain were absolutely stunning – even the parts where the trail disappeared. 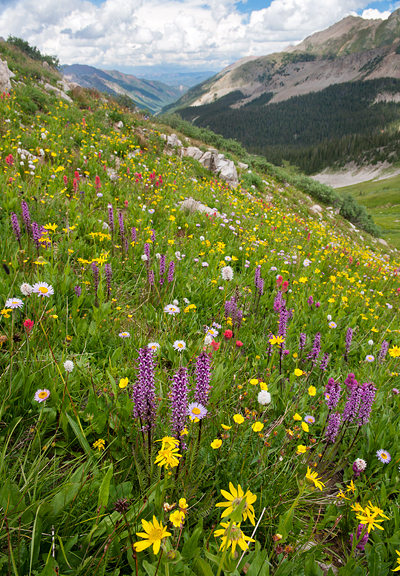 The wildflowers are full-on incredible above 12,000 feet right now. After hours upon hours of beauty, adventure, and exertion, we arrive at the trailhead and begin the drive home. The start of the hike feels like it was yesterday. In the car, I’ll notice a mixture of dirt, sweat, and sunblock is plastered on my skin. We are thirsty, hungry, tired, dirty. We smell awful, too. Once home, the trail runners get the hose and deck treatment. Our filthy, stinky clothes go straight into the laundry basket by the door to avoid tracking dirt around the house. Then we each drink a biiiiiiiig glass of water (or two) to rehydrate ourselves and our joints. If we are gross beyond what we can tolerate, a shower is in order, otherwise I head straight to the refrigerator to make something to eat. Pretty much anything will taste fantastic after a big hike, but this sandwich is guaranteed to be taste ultra-fantastic. I originally had a version of this sandwich at Salto Coffee Works in our town of Nederland, Colorado. It’s called the Salto and had caramelized onions and roasted turkey instead of arugula and prosciutto. It was good, but I wanted something with a little more punch to it than roasted turkey. Because it’s a sandwich, it can be whatever you want it to be. 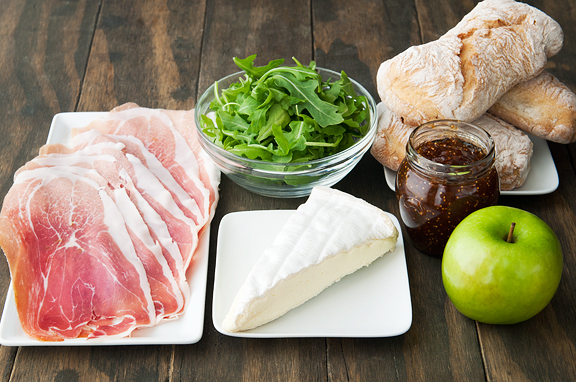 There are several elements to this sandwich to satisfy various cravings: the fatty, salty, slightly funky prosciutto; creamy, rich brie; sweet fig jam; tart green apple slices; spicy and lightly bitter arugula. 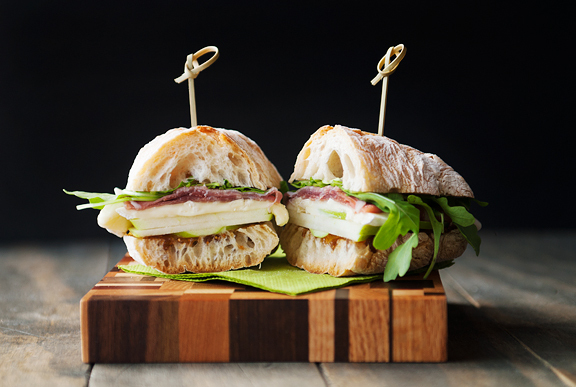 All of it sandwiched between airy ciabatta rolls with that wonderful crisp crust. Are we missing anything? If so, just add whatever else you like and remove what you don’t like. I love how sandwiches are chill like that. This result is akin to a mini cheeseboard stuffed into a sandwich, but it’s a delectable mini cheeseboard stuffed into a sandwich! 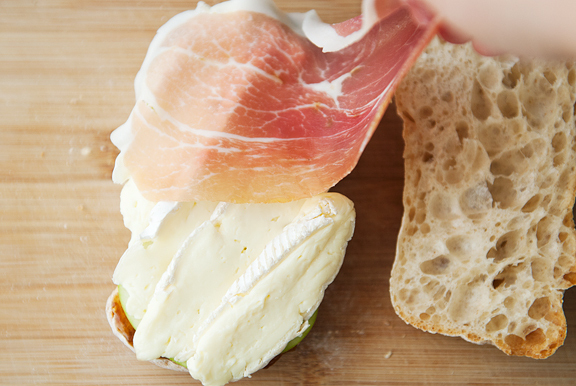 It pairs well with a glass of wine (whichever wine you’d have with your mini cheeseboard), and it packs nicely on picnics, airplanes, cars, bike rides, or any place you’d have a craving for a most excellent sandwich. I’m tempted to name it the triple pass lollipop unicorn sandwich because it too has All The Good Things. 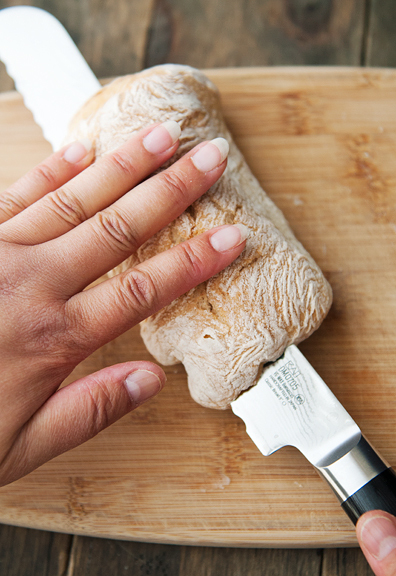 Slice the ciabatta roll in half to make a sandwich. 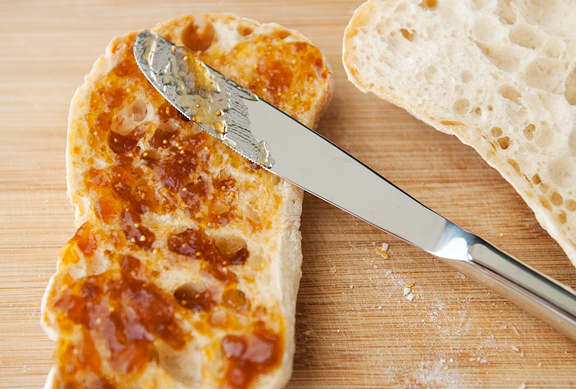 Spread fig jam on the bottom slice of bread. 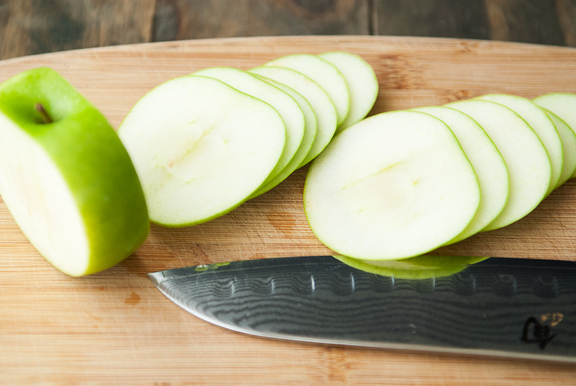 Layer slices of Granny Smith apple over the fig jam. 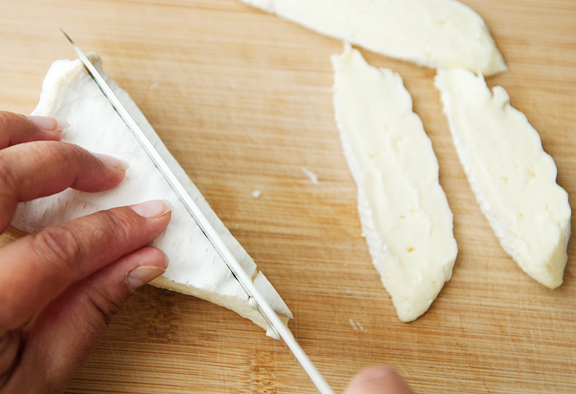 Place a single layer of brie cheese slices over the apple. 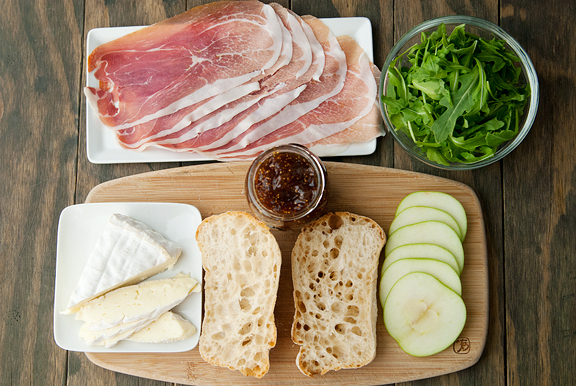 Top the brie with prosciutto. 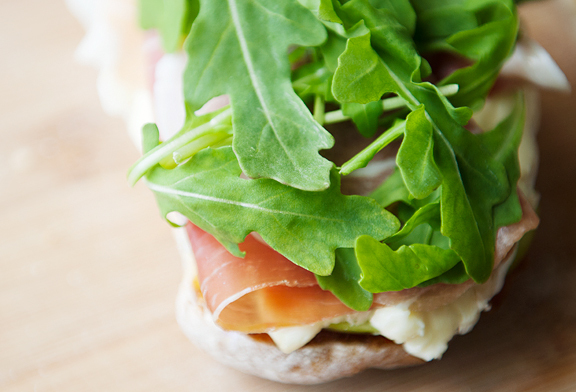 Set the arugula on top of the prosciutto and cap the sandwich with the other half of the ciabatta roll. Makes 1 sandwich. 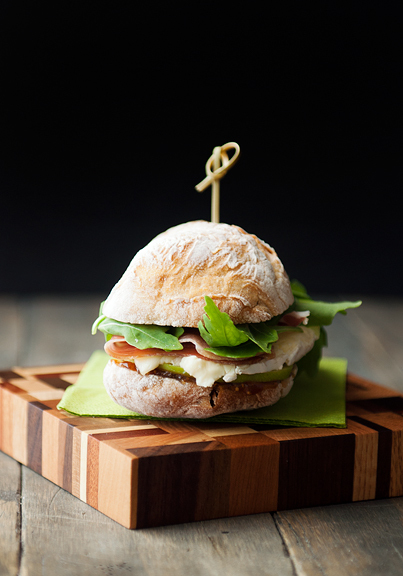 Oh my gosh…that sandwich looks so much better than the leftovers we just had for dinner! But I keep on reading your phrase as triple BYPASS, so I will probably just think of this as the triple bypass sandwich. Your photos are absolutely gorgeous, and I want to come right back to CO. Finally, isn’t it nice having a spouse who has common sense & uses it? Hope Jeremy heals fully & soon. That sandwich looks fantastic after a long slow distance ride! I wish I could do a painting of your beautiful pictures. I just went to the art museum with the hubster buster, and I feel so inspired. I love the arts (and the sciences, too)! Awesome! We recently love grilled cheese sandwiches for a quick dinner fix. The broccoli one from Bountiful is delightful! I love the photo of the dinner party. The one guy who is excited and everyone else who is like OMG your taking my picture!!! LOVE your writing, presentation of recipes; your pix rival any postcards! Still missing your sweet Kaweah. Sensational photos of CB area!! My favorite in the US! That is quite the sandwich! I hope Jeremy recovers quickly, runner’s knee is miserable. I found KT tape a great help, my physio showed me the best way to tape my knee but there are some good videos online too. 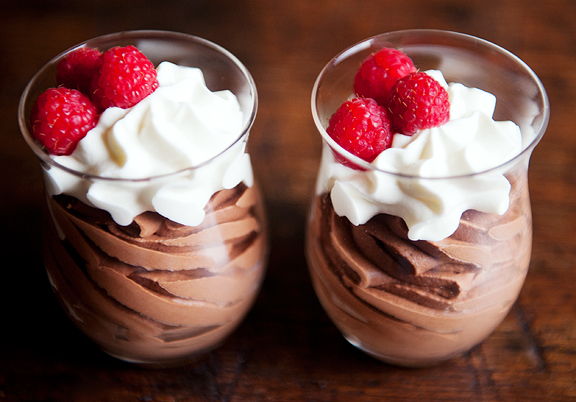 Can you share your chocolate mousse recipe with me? All the fooood but wha? Huh. No idea Jeremy had similar injuries to mine. Glad he decided not to run this year. It’s like you read my mind with this recipe. 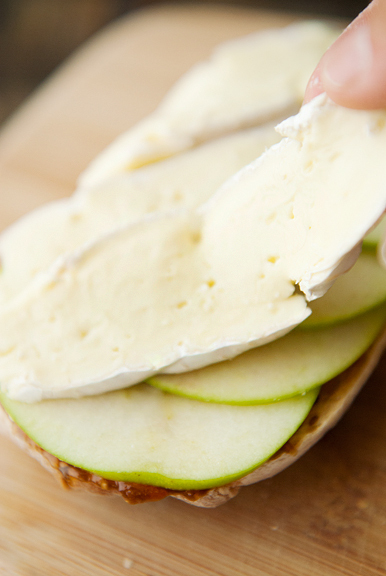 I had a brie/fig/pear sandwich at a café once and was amazed that the ingredients went as well together as they did (I was mostly intrigued by the combination), so I’ll have to try this variation on it. Thanks! I’m sorry that Jeremy wasn’t able to do the GT because of his knee, but am glad it hasn’t kept him down! 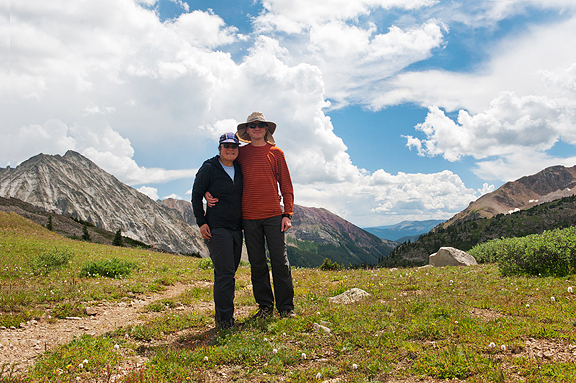 You two are so awesome…a 17 mile hike! WOW…and to then make such a beautiful sandwich!!! 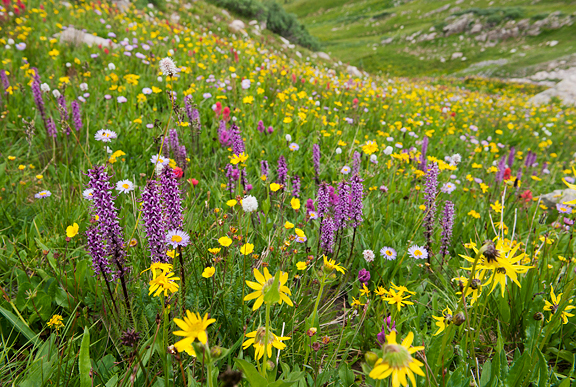 Those wildflowers are wonderful. I’d love to see a close up of the elephant heads! I love this sort of sweet thing with cheese and cured meat sandwich! My favorite is bacon with Dutch stroop and smoked cheese :) But this is definitely going on the must-try! What a scrumptious looking sandwich! I love when there are opposing flavors- crunchy tart apple, sweet jam, peppery arugula, salty prosciutto, chewy bread…I’d like a slice now! Hi Jen, Wow, the views from your 17-mile hike are fantastic. How many hours does it take to hike that? I go walking a lot and 8 miles is my max. My hips start to wrench and tighten at that point, no matter how much I stretch beforehand. If I had your views, I sure would want to be out enjoying them the way you and Jeremy do. That sandwich looks really tasty. Thanks for sharing about your life! Why am I over here? Well, it’s because I miss you, but it’s so hard to come for a visit. I’m on my third month of a liquid diet , due to oral bone grafting. I cook for the family and then rush off to another room until they clear and clean the kitchen. I refuse to make them a new treat that I can’t partake of. They are stuck with basics. Wish you were near, Jenzie. This years crop of mustard greens are fabulous. The absolute best I’ve yet to grow. Perhaps I’ll shake one up tomorrow if time permits. Maybe a shake recipe to jazz up my mood. Hi Jen! Do you happen to know what Jeremy did/is doing to get over the runner’s knee? I’m in pretty much exactly the same boat– training for an ultra, longtime runner, never had a knee problem before– and it’s taking so long to heal! I’m talking 3 months so far and I still can’t make it more than 3 miles. Anything you could recommend? Thanks! I’m an avid reader, longtime fan :) Hope all’s well and that Jeremy is recovering! Kristen – I hope you all had a great time and enjoyed the sandwiches! And thank you for the thoughts on Kaweah. It’s still hard not seeing her around every day, but all of our memories of her are happy ones (because she was so ridiculously happy). Mrs Ergül – oh yes, I think anything from Bountiful is delightful! Tamsin – thanks for the tip! Melissa – I think his runner’s knee is specifically from running up and down really steep stuff. joey - oh boy, does that sound good. I just love bacon!! CoffeeGrounded - Hope you're back on solid foods soon!